Opiate addiction can be treated, we can help. Recovery is an option and when you are ready, Sundance Methadone Treatment Center can help you address your disease with confidence. Substance abuse that has led to physical and psychological dependency of a drug can be defined as addiction. Over 23 million Americans struggle with addiction. Unfortunately fewer than 10% receive treatment. Understanding that addiction is a treatable illness is an important step in promoting your belief that long-term recovery is possible. 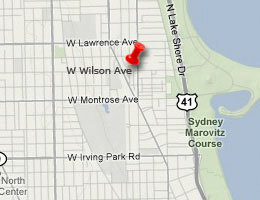 At Sundance Methadone Treatment Center, located in Chicago, IL, we are committed to your total recovery. Together we will address issues at the core of your addiction, educating you on addiction as an illness and the steps and treatment options available that will help you take back control of your life. The staff at the Sundance Methadone Treatment Center understands the difficulties our patients face living with addiction and the challenges they will face with recovery. We are here to help you address these challenges with the professionalism and the care you deserve, without prejudice and judgment. Recovery is a process and it takes time. We will be here for you every step of the way until you are walking in a new direction, one that is full of life and free of addiction. Review the treatment options available and services provided at one of the finest Chicago methadone rehab centers available to you. Contact us today or visit our Northside Chicago location for answers to your questions and the first step in your recovery.